Mike Levin met Barack Obama backstage Saturday at the Anaheim Convention Center before the former president spoke in rolled-up sleeves to a fired-up crowd. Did he know who Levin was? 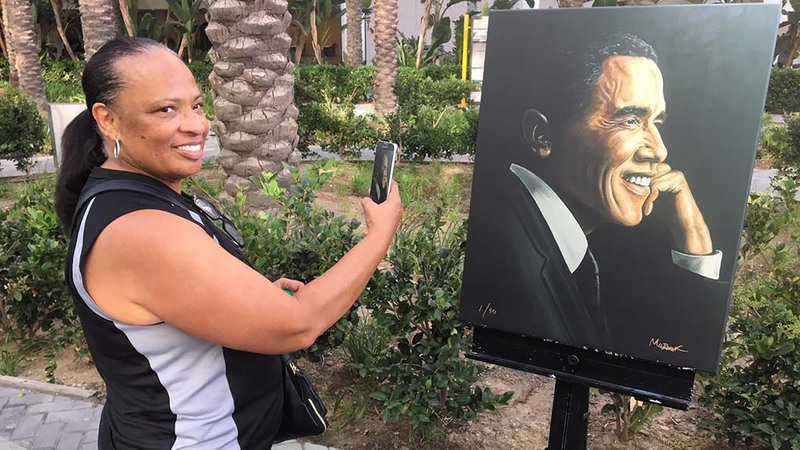 Levin, 39, called Obama’s campaign trip to Orange County “historic.” (Obama recalled visiting Disneyland at age 11 with his grandmother as well as during his college teen years, when he was ejected for smoking at the Magic Kingdom). Levin took turns with various media outlets, repeating an anecdote that could turn up in stump speeches. The San Juan Capistrano resident (he said it took 40 minutes to get to Anaheim) wouldn’t quantify the value of an Obama bump in his coastal district that straddles Orange and San Diego counties. But he said his internal polling found that among independents — which he labeled a “key” voter slice — Obama was viewed favorably by two-thirds. 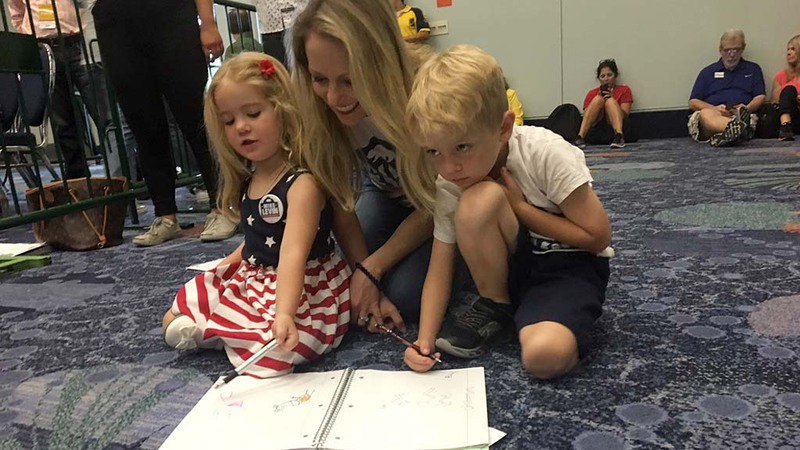 Democrats in the bruising 49th District battle won a combined 51 percent of the June primary vote, Levin noted, including a “good chunk” of those not affiliated with a party. “President Obama is very popular with those no party preference and independent voters,” Levin said in an interview after the 2-hour rally (and 23-minute Obama remarks). Levin declined to predict a victory margin. “What I will say is that we’re going to run as though we’re behind every step of the way,” he said. “I’m absolutely a believer that we don’t count our chickens. “All I’ll predict is that we’re going to outwork the other side,” not uttering the name of Republican Diane Harkey, endorsed by retiring GOP Rep. Darrell Issa and winner of the June primary by 8 percentage points. How will Levin campaign in the final two months? TV ads? Direct-mail fliers? Voter visits? Social media? He called field work and digital marketing the foundation of a successful modern campaign. Also raise money to pay for Obama rallies in Anaheim.